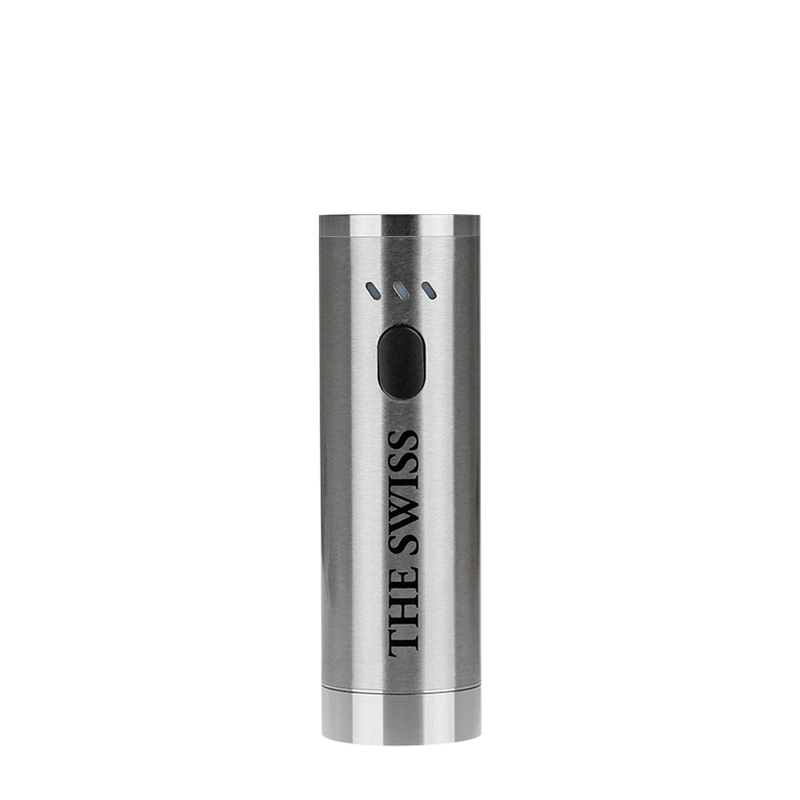 The Atmos Swiss Battery 1100mAh is a cutting-edge 510 thread battery made for the Swiss Vaporizer that matches well with many other attachments including the Greedy, Studio Rig and some from other leading brands. 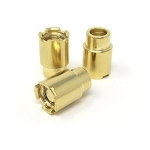 You have the option of using either an automatic or manual firing method that will help you to achieve ideal results with a wide variety of different material/cartridge types. 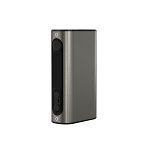 It has a working output range of 3.4V-4.2V. 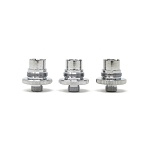 The Swiss automatically detects you atomizer and assigns an appropriate output to match it's resistance for satisfying results every time. 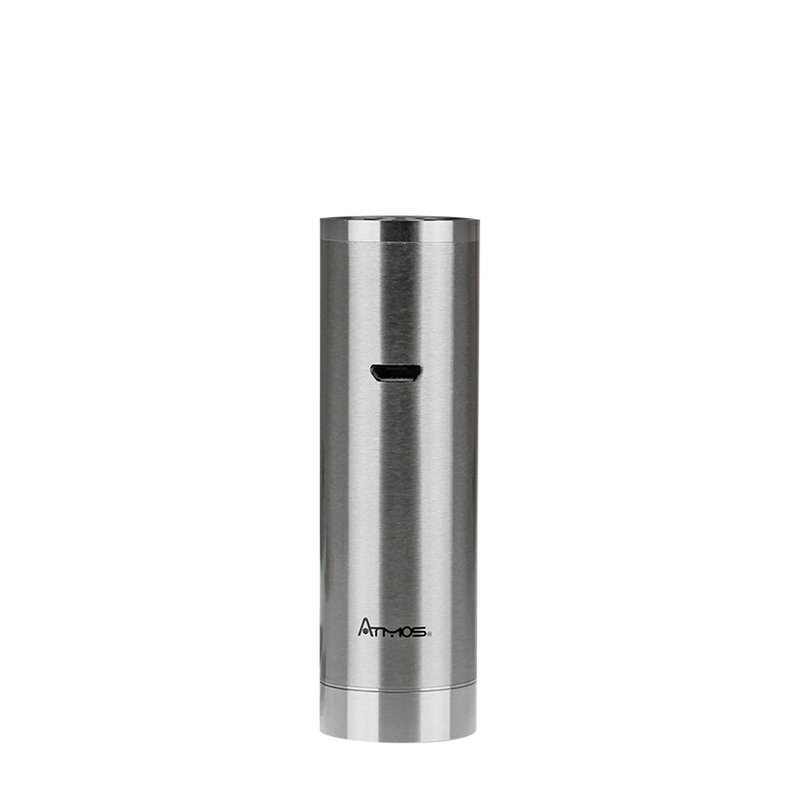 For manual operation just rapidly press the single power button 5 times to power the device on and you are set. Press/hold the button to heat your attachment and watch the LED indicator to catch every detail. It will shine red as it starts to heat and switch to green when it reaches it's max temperature setting. 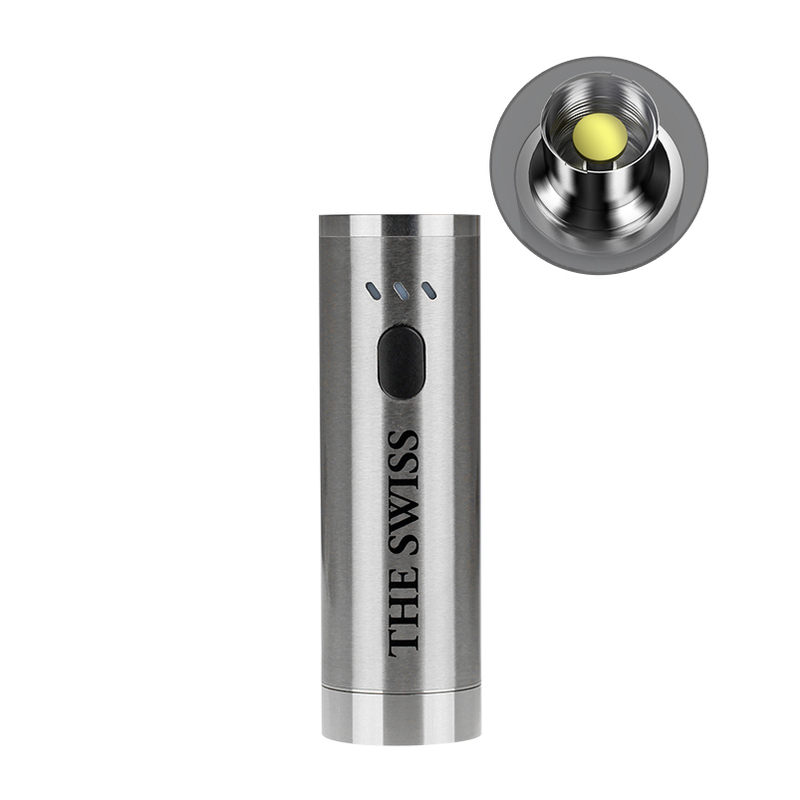 The Swiss Battery maintains the temperature until the safety duration timer is reached and it automatically powers off to prevent overheating. You can adjust the duration timer to achieve hotter temperatures for those material types that require it. First you have to activate it's automatic operation mode by pressing the power button two times. The LED will shine red to show it is heating, then you can long press and hold the button to change the timer setting. There are three options (10, 15, 20 seconds) and three LED lights to indicate each one reading lowest to highest left to right. You can also used that light indicator to manage your battery levels efficiently. Every time it is locked/unlocked the LED flashes three times showing a unique color for it's remaining charge level (Green 100-75%, Orange 74-50%, Red 49-0%). It has an innovative automatic power off function that kills it's power after 3 minutes of no use to conserve your power so you won't have to recharge too often. When it eventually dies out the LED flashes red/green that powers off, it can fully recharge in only 3 hours using the included USB cable. 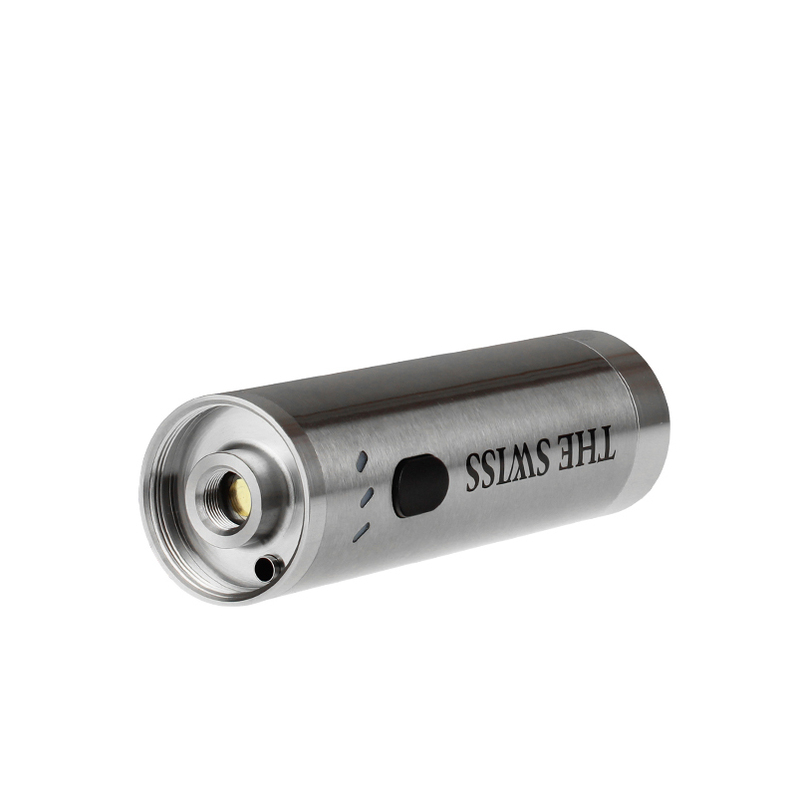 The Atmos Swiss Battery also features a premium scratch-resistant stainless steel housing with inner airflow tube that allows for use with both isolated and reverse airflow attachments. 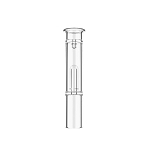 You even get a food grade silicone container with two separate compartments built into it's base for added convenience. Pick yours up today and power all of your attachments with one sleek device.